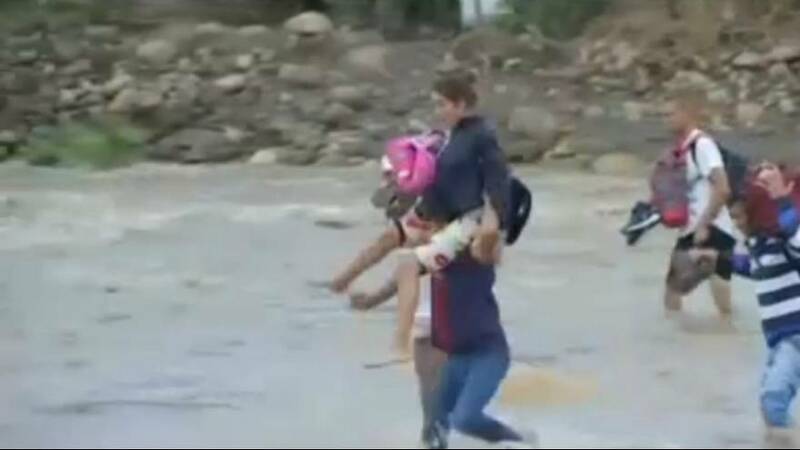 Thousands of Venezuelans are trying to cross the border river with Colombia to escape shortages, crime and a flailing economy back home. Main border roads leading to Colombia's border city of Cucuta remain blocked in Venezuela to prevent opposition-backed aid from heading into the OPEC nation. To get around the closures, citizens are waiting for low tide at the Tachira River. Neighbouring Colombia has become a respite for Venezuelans suffering from shortages. Many citizens also go back and forth to buy goods to sell back home.